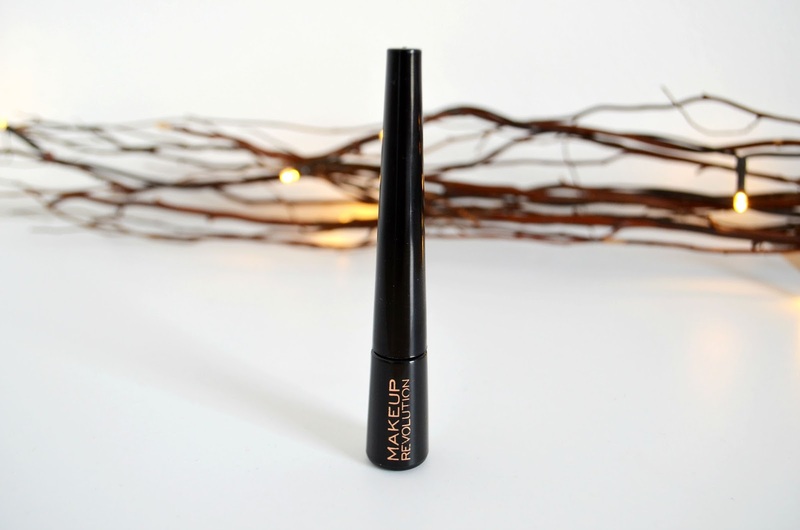 Makeup Revolution is one brand that has taken the beauty world by a storm. Their affordable pricing along with their amazing dupes mean that you’d be crazy not to try them out. For me, eyeliner is my war paint, without it I don’t feel ready to take on the world. 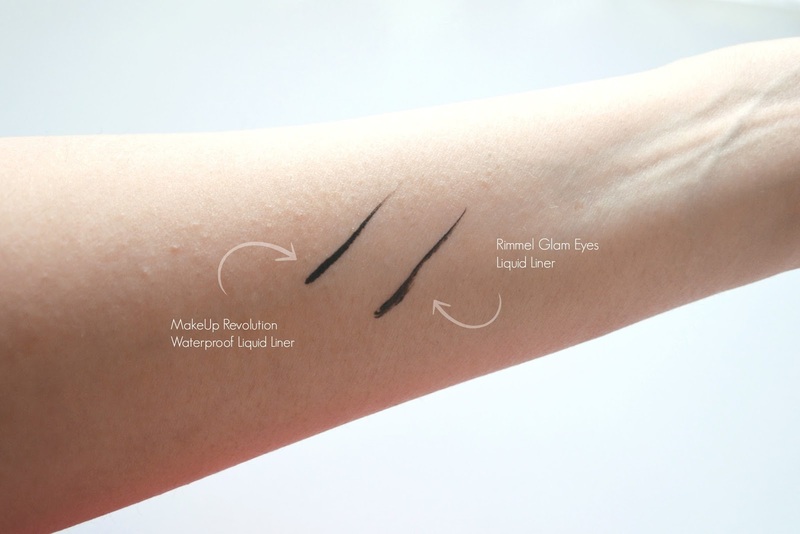 I rarely stray from the Rimmel Glam Eyes liner but when I saw that Makeup Rev had a waterproof eyeliner out, I was intrigued. Besides at £1.50, I really couldn’t go wrong! 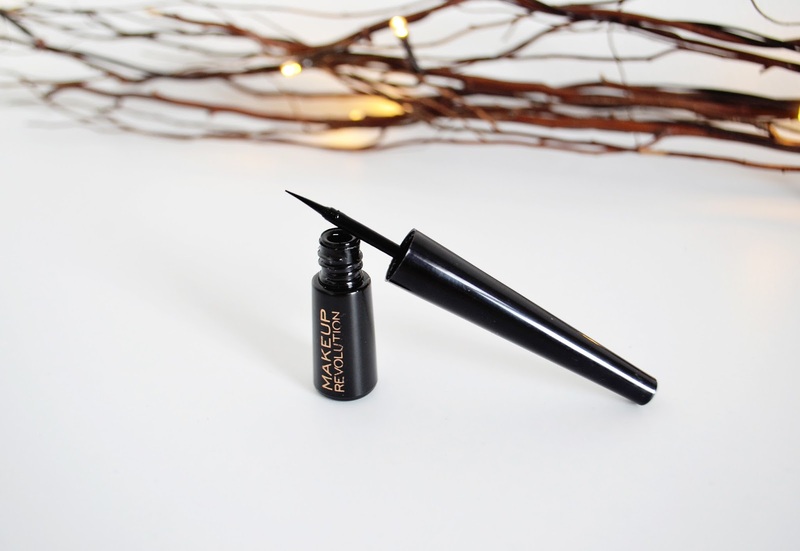 First let me just say, I love that the eyeliner is called “Amazing eyeliner waterproof” on their website. Serious confidence right there! The packaging is a small black bottle with copper writing on it. It’s slightly smaller in size in comparison to Rimmel’s Glam Eyes but that’s not a bad thing and it’s still easy to hold/grip. My absolute favourite thing about this product is the brush. It’s somewhere in between the brilliantly fine brush that Rimmel have and the spongey tip that many other brands offer. It felt kind of like it was made from rubber but I didn’t want to get my hands dirty and investigate whether this really was the case. The actual eyeliner itself is a good consistency and comes on to my eyelid very easily, this means there’s no dragging on my eyelid and therefore less mistakes. The colour is jet black, ever so slightly dark than Rimmel so I was even more pleased. The real question I had was, was it actually waterproof? My eyes water A LOT. I wear contacts too on a daily basis so I’m always touching my eyes. I tested the eyeliner out for a week and found that it stayed on (usually) for about 10 hours. I could apply it at 8 in the morning and when I’m for about 6.30 it’s still in place. Seriously impressive stuff. After my week’s trial I may or may not have stocked up with about 5 bottles of the stuff! This will definitely be in my winter makeup bag. I can finally say goodbye to returning home in the evenings looking like Alice Cooper after those rainy/wind swept days! What’s your favourite Makeup Rev product?